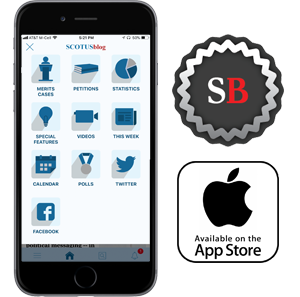 We live-blogged as the Supreme Court released its opinions in three cases: Air and Liquid Systems Corp. v. DeVries, Nielsen v. Preap and Washington State Department of Licensing v. Cougar Den Inc. SCOTUSblog is sponsored by Casetext: A more intelligent way to search the law. Good morning, everyone! Welcome to our live blog, sponsored by Casetext. We are waiting for one or more opinions in argued cases this morning. As is normally the case, we don't know how many opinions we'll get or which ones. Has there been any update on the slew of hot-button cases from January that weren’t granted at the time? Have they been relisted since then? What would that mean? Which justices most likely still have "fall" opinions? Are we getting the Double Jeopardy dual-sovereignty opinion today? Are we expecting opinions tomorrow as well? A few weeks ago, someone asked why the SCT file names for opinions and orders have a random 4-character extension following the file name. The responder (I think Edith) did not know. Did you ever find out why? We just had the five-minute buzzer here in the press room. There are two boxes today, folks. For those of you who aren't regulars here, the number of boxes of opinions waiting to be distributed in the press office downstairs is a rough proxy for the number of opinions we might expect. And just to give you a little color, there are two identical sets of boxes in the press office. A few minutes before 10 (i.e, quite soon), the reporters go in and mill around the office. When the chief justice announces each opinion (over a live audio feed from the court room), the Public Information Office hands the opinions out and we then run back into the press room to report back to you. Speaking of which, it's time to go wait in the press room for our first opinion. See you soon. I want to announce that we will have an opening this summer. The position splits time between SCOTUSblog (as deputy blog manager) and Goldstein & Russell (as firm manager). Please encourage any good college seniors (or people who have been out for 1-2 years) to apply. Have there been any DIGs this term yet? Justice Kavanaugh has the first opinion in Air and Liquid Systems v. Devries. The decision of the Third Circuit is affirmed. The court holds that in the maritime tort context, a product manufacturer has a failure to warn when its product requires incorporation of a part (here, asbestos), the manufacturer knows or has reason to know that the integrated product is likely to make the product dangerous for its intended uses, and the manufacturer has no reason to believe that the product's users will realize that danger. This was, in the interest of disclosure, a Goldstein & Russell case. The vote was 6-3. Gorsuch dissents, joined by Thomas and Alito. Roberts, Ginsburg, Breyer, Sotomayor, and Kagan join the Kavanaugh opinion. This means that Sotomayor and Alito are likely to be writing Gundy v. United States and Nielsen v. Preap, which could mean very different results depending on who is writing which ones. Court notes that it does not agree with all of the Third Circuit's reasoning but upholds its "judgment requiring the District Court to reconsider its prior grants of summary judgment to the defendant manufacturers." Going back in for next one. Next opinion is from Alito, in Nielsen v. Preap. The Ninth Circuit is reversed and the case is remanded. In these cases, the Ninth Circuit had held that a provision requiring the mandatory detention of non-citizens who have committed certain dangerous crimes applies only if a non-citizen is arrested by immigration officials as soon as he is released from jail. The Supreme Court rejects this interpretation. The vote is 5-4. Breyer dissents, joined by Ginsburg, Sotomayor and Kagan. Kavanaugh writes a separate concurring opinion to "emphasize the narrowness of the issue before us and, in particular, to emphasize what this case is not about." Thomas concurs in part and in the judgment, in an opinion joined by Gorsuch. 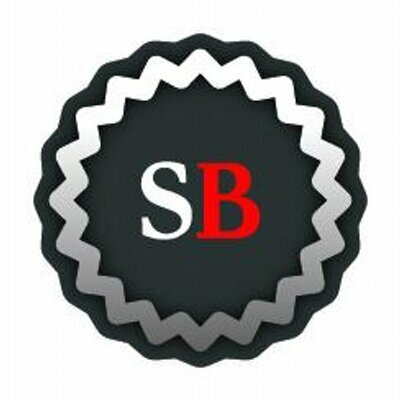 Breyer writes that the law's "language, its structure, and relevant canons of interpretation make clear that the Secretary cannot hold an alien without a bail hearing unless the alien is taken into custody when the alien is released from criminal custody." Alito is still reading from his opinion, but we are expecting at least one more opinion. So it does seem like Sotomayor is likely to have Gundy v. US, but we are not likely to get that decision today, because the justices announce their opinions in order of reverse seniority. So we could hear from Alito again (although I don't think so, based on how the Chief Justice introduced the case), Breyer, Ginsburg, Thomas, or the Chief. Going back in to wait. I'm back. Breyer is reading from his dissent from the bench, which is relatively rare. Amy...what does that mean for Gundy? There is, as one of our commenters noted, an analogy to grilling steak in the Breyer dissent. @AmyHowe Given the phrase you quoted earlier, it's clear that Breyer thinks that the majority viewpoint is not just the wrong one, but clearly wrong on it's face. Hence, reading from the bench isn't much of a surprise here. Breyer's conclusion is indeed strong: "To speak less technically, I fear that the Court's contrary interpretation will work serious harm to the principles for which American law has long stood." Okay, now he's wrapping up. Breyer has the next opinion, in Washington State Department of Licensing v. Cougar Den. It is, he announces, a plurality opinion. The decision of the Washington Supreme Court is affirmed. Justice Breyer, joined by Justices Sotomayor and Kagan, conclude that the 1855 treaty between the US and the Yakama Nation preempts Washington state's fuel tax as applied to Cougar Den's importation of fuel by public highway. Gorsuch, joined by Ginsburg (interesting! ), conclude that the 1855 treat guarantees tribal members the right to move their goods, including fuel, to and from market freely. When dealing with a tribal treaty, Gorsuch says, a court must give effect to the terms as the Indians themselves would have understood them. Gorsuch therefore concurs in the judgment, joined by Ginsburg.Roberts dissents, joined by Thomas, Alito and Kavanaugh. 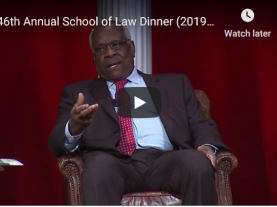 Kavanaugh dissents, joined by Thomas. To respond to a question, this is the last decision of the day. @AmyHowe Yes, but Justice Sotomayor also is a proponent of the delegation doctrine, and a Gundy decision for the petitioner Gundy necessarily has adverse implications for the DD. Any news on the "mystery" subpoena tied to the Mueller investigation? Has Cert been decided either way? Roberts stresses in his dissent that the fact that a state law affects the Yakamas while they are exercising a treaty right does not mean that the law impermissibly burdens the right. "Because Washington is taxing Cougar Den for possessing fuel, not for traveling on the highways, the State's method of administering its fuel tax is consistent with the treaty." The Kavanaugh dissent is shorter. He agrees with Roberts that the fuel tax is not a highway regulation and therefore does not infringe on the tribe's right to travel. But even if it were a highway regulation, Kavanaugh adds, it isn't a discriminatory highway regulation and therefore doesn't violate the tribe's right to travel on the highways just like other U.S. citizens. Isn't Frank v. Gaos still outstanding from October? Or is it likely to be decided later due to the supplemental briefing? And they are done with opinions now and have moved on to bar admissions and then arguments. Assuming a Democratic candidate takes the White House in 2020, is there any remote sense of who leading contenders are for the Court if a spot opens up? Okay, that's all for me for today. Thanks so much for joining us, and have a terrific day! Thanks, all! Today we will have analyses on these three opinions, Kathryn Moore's analysis of yesterday's argument in Smith v. Berryhill, Mark Walsh's analysis of today's argument in Cochise, and Amy's preview of next week partisan-gerrymandering arguments. We'll be back tomorrow!